I finally made the salad this week, and it was more than worth the wait. The original recipe called for brie, which would also be nice, but I loved the way the gruyere stood up to the other strong flavours. If you don’t have farro in your cupboard, barley would be a nice substitute. And feel free to use whatever combination of roasted vegetables you like best. In other words, this is a really easy recipe to play around with – but next time I make it, I won’t change a thing. Heat oven to 425 degrees. In a large bowl, toss together the olive oil, butternut squash, red onion and carrots. Season to taste with salt. Spread onto a parchment-lined baking sheet and roast for 30 minutes, or until tender. In the meantime, bring water and farro to a boil. Add a pinch of salt and reduce heat to a simmer. Cook, covered, for 25 – 30 minutes or until farro is cooked. Drain excess water. When the vegetables are roasted, toss them with the farro, sage and gruyere. Season to taste with salt and fresh pepper. I can't believe you remembered to even try it. I've really been getting into eating more butternut squash so this sounds good for that alone. 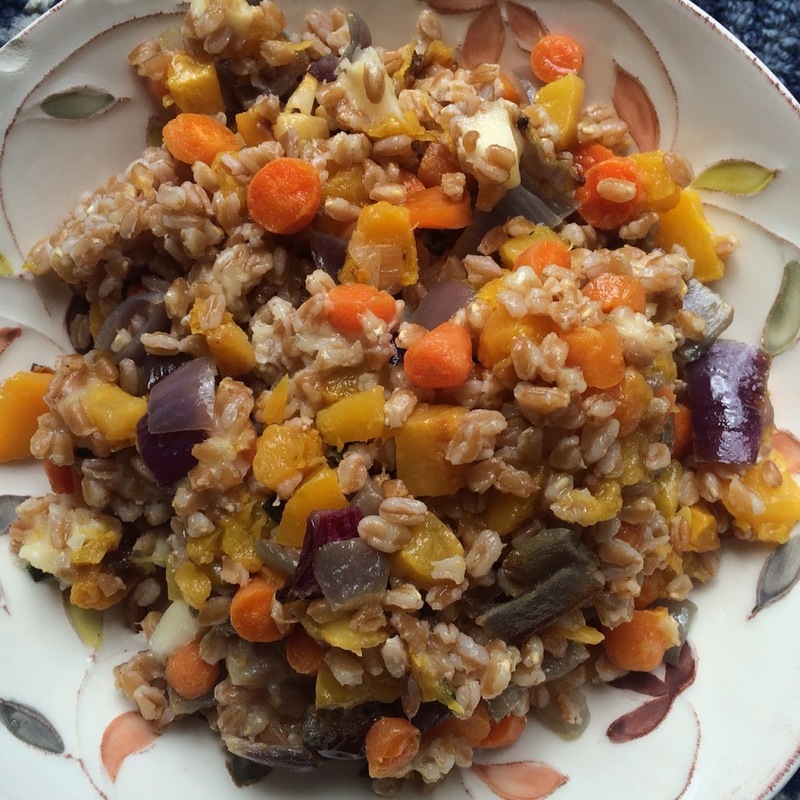 I love farro, but it isn't something I always have on hand. This fabulous salad is a wonderful excuse to pick up some more! I've never tried farro but this sounds yummy. I adore roasted veggies so this works! This looks lovely. I've used farro in a number of salads and stews and it is delicious. I'd like to try this as well. Thanks for sharing! It looks filling and delicious! I love nutty farro. This looks delicious; it's just the kind of grain salad I love to load up on! I've made this before, and it really is fantastic. I've not tried cooking with farro before and I really should. This sounds great and I love all the colours. Hi Beth, oh I love Joanne's recipes, this looks delicious, fantastic combo. Farro is good! Although not that common of an ingredient in my kitchen. Odd, since it really is good stuff! As this this recipe — really nice. Thanks! I definitely prefer gruyere than brie! The salad looks perfect! I love when I finally try a recipe I have been dying to check out and it is amazing! This sounds delicious! Glad you finally got to try out the recipe and the changes you made sound like they worked very well. Thanks for sharing! I love grain recipes like this…sometimes we get in a rut with our side dishes. The farro sounds delicious. I have never tasted farro either, I have to search for it, they might have it in the Turkish store. I would love to try this recipe, I make something a bit similar with spelt berries sometimes, delicious too. I need to work more with grains like farro and barley. Love that this has the squash and carrots for an extra health boost! 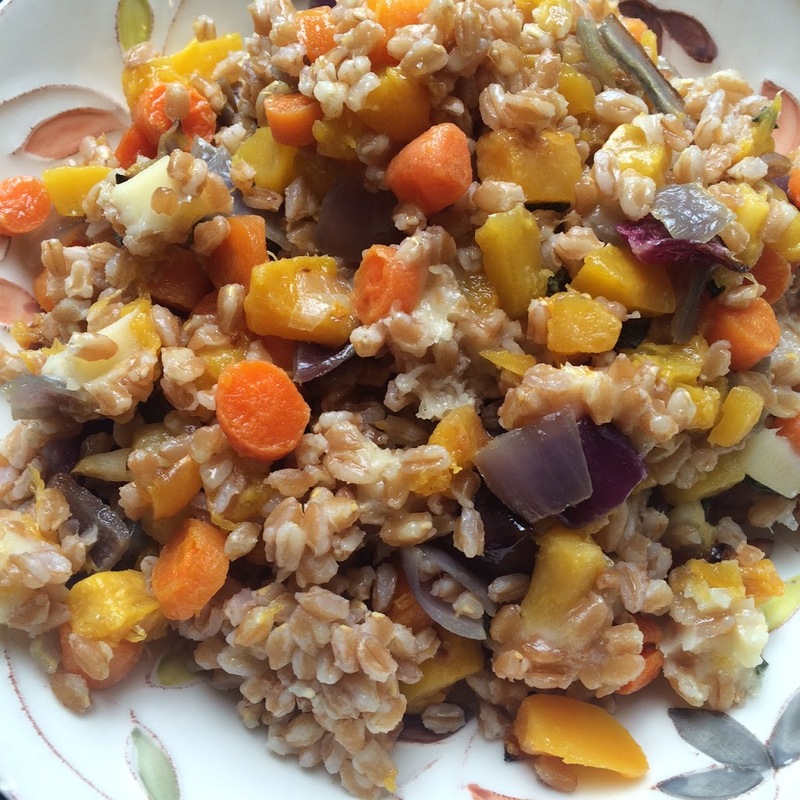 I've never tried farro either, Beth and I'm not ever sure they carry it at my regular market! I'll have to take a closer look next shopping trip. This dish looks really good!